Quality youth work programmes, information, resources, training and support. 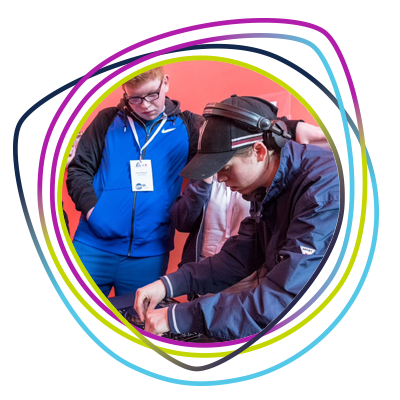 As the largest national youth work organisation, Youth Scotland supports 61,000 young people, 1,300 youth groups and over 7,700 youth workers. It has opened more doors and opportunities and helped me meet new people and new contacts to help me with my career and building my network. Find out more about the people at the heart of Youth Scotland's operations, from the office team to our trustees. Emmie has been involved with youth work and youth awards for many years. Read her story. I was asked to come along to a youth engagement event run by the Moray Youth Council. At this point I couldn’t even tell you what a youth worker was. Nevertheless, I went along. Who knew that that event would change my life?